Speed — Reduced construction schedules up to 50% with configurable and pre-configured core and shell components. Flexibility — Tailored fit and finish that best achieves a desired look, feel, and performance. Simplicity — Easy to adapt, build, and own. Project Frog has always looked to take advantage of technology to develop high-quality prefabricated building systems, and Autodesk products have always been core products in that effort from a design, manufacturing, and delivery perspective. As Project Frog's building system product evolved, their team found it necessary to build out their own in-house software to fully realize a scalable, mass-customized approach to industrialized construction. 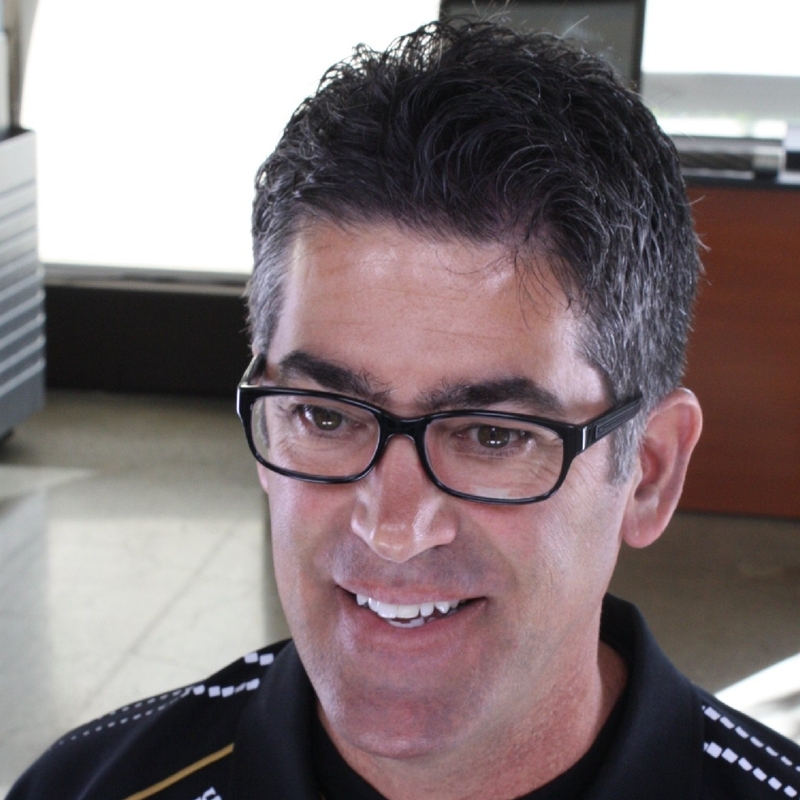 Integration with Autodesk products has and will always be an integral part of that technology development effort. That is what led to Project Frog's adoption of Autodesk Forge. Autodesk Forge is Autodesk's collection of Application Program Interfaces (APIs) that the company uses to develop its own web services. As part of their Forge efforts, Autodesk shares those APIs (including documentation and code samples) with customers and 3rd party developers (the Forge community) that want to leverage years' worth of legacy and current data associated with projects. As a continuation of their development efforts, the Project Frog team is able to use cloud technologies to push tighter integration between their own internally developed web tools and core Autodesk applications (particularly around Revit and Fusion). Project Frog developers capitalize on Autodesk cloud technology to create tools and workflows that are meeting new market demands as industrialized construction and manufacturing become a more integral part of AEC project workflows. The Data Management API gives the Project Frog team a unified and consistent way to access data across projects and lets their application download and upload raw files (such as PDF, DWG, or RVT). The Model Derivative API lets developers represent and share designs in different formats, as well as to extract valuable metadata into various object hierarchies. 60 different file input formats are supported. Project Frog developers are looking at this API in an R&D phase. They have successfully extracted simplified geometry and other metadata from their Revit library of Project Frog components. Their next steps will be to use the data to reconstruct the objects in a web-viewable format. The Project Frog team's main focus is to translate their library of Project Frog prefabricated components and assemblies in a Revit environment to a web environment. In addition to displaying their components in their web tools, they persist critical component metadata for each part and piece that they manage in their library. The Model Derivative API allows them to extract that data from Revit and translate it into web-consumable content. 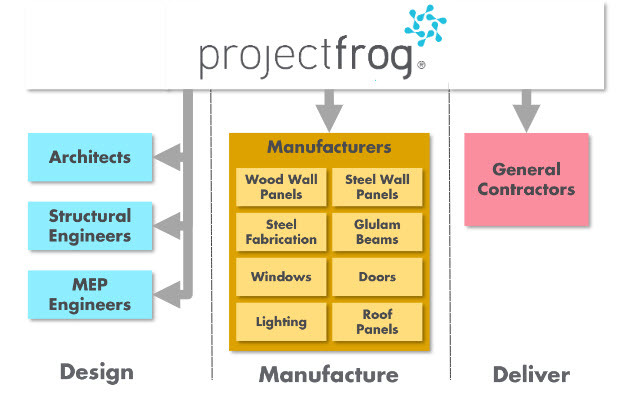 Project Frog's approach to prefabrication puts it in a unique position to manage data and workflow across numerous stakeholders including architects, engineers, general contractors, and manufacturers from early design through permitting, costing, manufacturing, and project delivery. Forge has made it possible for their developers to integrate data flow across project phases and disparate software workflows. The team has seen huge efficiency gains from design through project delivery — in some cases, reducing processes that used to take weeks, down to a few minutes. For example, using their web tools at MyProjectFrog.com, a user can create a unique building design with their building system in a few minutes, submit their design to Project Frog, and have a highly detailed Revit model back in as a fast as 10 minutes. At the same time, Project Frog has a complete set of structural calculations and a bill of materials for detailed costing. This allows Project Frog to deliver truly mass-customized prefabricated buildings at scale. Forge is an integral part of making that possible.